We are pleased to present to you a band that, despite its many years of existence, will be playing on our stage for the first time. 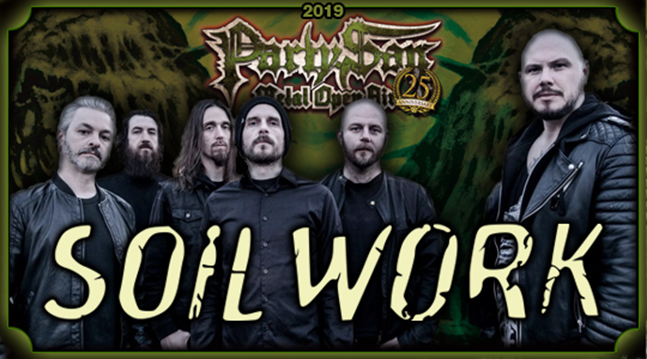 Look forward to one of the pioneer bands of Modern (Melodic-) Death Metal!Since 1997, SOILWORK have been making their way through the metal scene. Starting on the wave of the ultra-fast Thrash Melo Death wave with bands like Gardenian, Corporation 187 or Darkane, the band was constantly changing and evolving over the years. Accordingly, it is difficult to categorize them, because the setlist of the gentlemen usually includes songs from all periods of their work. We look forward to seeing these exceptional guests!